POLICE say drivers are risking lives and their licence by trusting dodgy breath testing devices when deciding whether to get behind the wheel. 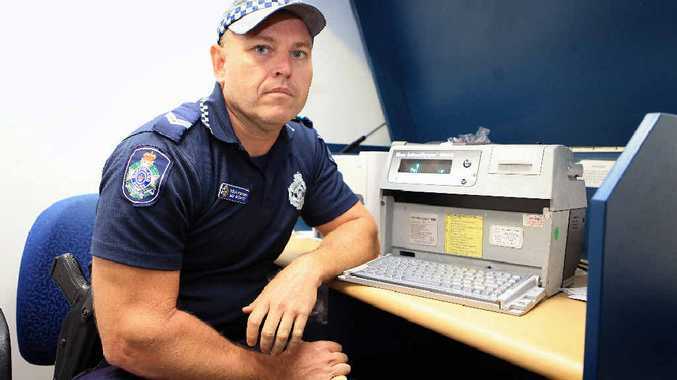 While many a manufacturer now sells products which promise to return accurate readings, Hervey Bay police Senior Constable Mick Bleakley said the majority were not worth the box they came in and drivers should not be fooled. As recently as last week, an elderly driver with a clear record found himself before a magistrate after falling foul to a testing device he had received as a gift. The Hervey Bay Magistrates Court heard 73-year-old Paul Rafferty was of the misguided belief he was ok to have a drink at the golf club and drive after a device which had been purchased online returned an under-the-limit reading. When pulled over, Mr Rafferty was in fact just over the limit and had to suffer the embarrassment of being issued with a notice to appear in court for the first time in his life. Despite having a clean driving record, mandatory licence disqualification applied and Mr Rafferty was told to hand in his licence for one month as well as pay $400 with Magistrate Graham Hillan musing that the "manufacturers probably don't want you to advertise that they are unreliable". Sen Const Bleakley said along with products bought online, drivers should also not trust machines found in pubs and clubs which may provide a "useful indication" of alcohol content but were "by no means definitive". He said the only real result came from breath analysis machines at police stations where drivers who returned a positive roadside test were taken to confirm the reading before receiving a court notice. "Police would discourage people from using these devices and machines for accuracy," Sen Const Bleakley said. "They are no better than using the advised guidelines - one standard drink per hour for females, two in the first hour for men and one every hour after that - and even then there are many factors to take into account like body size and food consumption." While time, eating a meal and drinking water can help, Sen Const Bleakley said drivers should save themselves the stress and simply leave their keys in their pockets. "We are pampered here for choices when it comes to taxi, limousine, dial a driver and courtesy bus services," he said. "There is really no excuse. "If in doubt, don't drive".